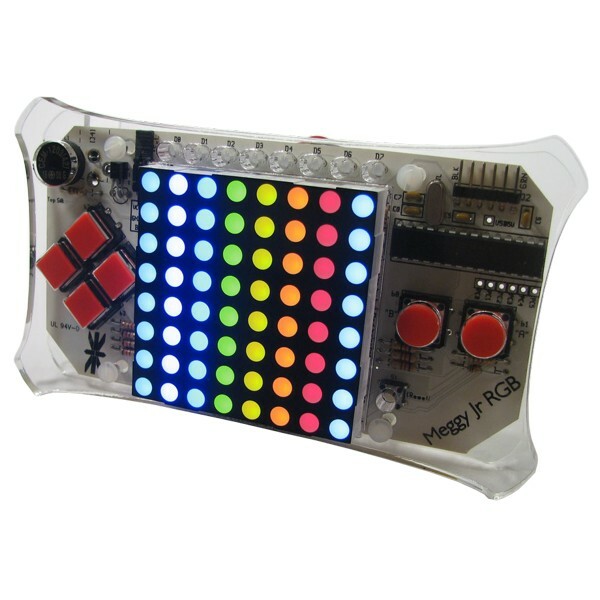 Meggy Jr is a handheld platform that features a brilliant 8x8 RGB LED display matrix and a collection of video game style buttons. 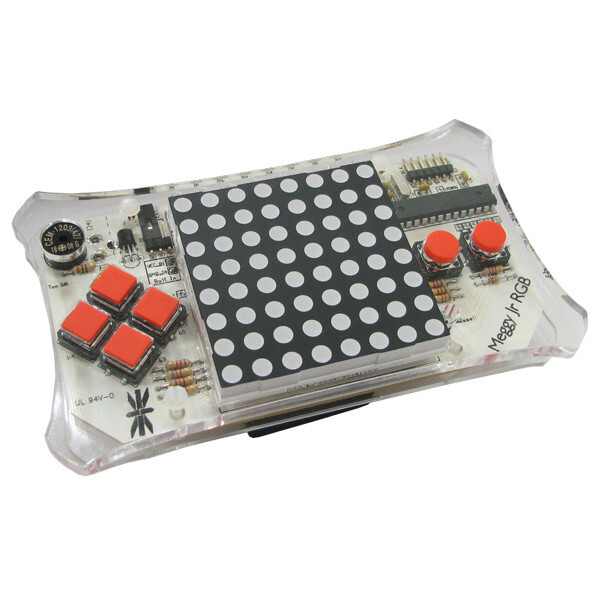 The Meggy Jr is an Arduino compatible with a handheld form factor similar to a hand held video game. A collection of 192 vibrant RGB LEDs create a full color programmable display. Eight additional LEDs are provided for various status reporting purposes. Six heavy duty gamer grade buttons provide the controller input. An audio transducer can play tones, beeps and other sounds. All processing is performed by a built in ATmega328p Arduino compatible microcontroller. This kit makes an excellent standalone gaming platform that is sure to inspire Arduino enthusiasts and makers everywhere. Meggy Jr comes pre-programmed with the "Attack of the Cherry Tomatoes" game demo for testing your soldering and assembly handy work. Programming is simplified by using the popular Arduino IDE and a helper library. Advanced users can program the Atmel processor directly via an external AVR ISP programmer. 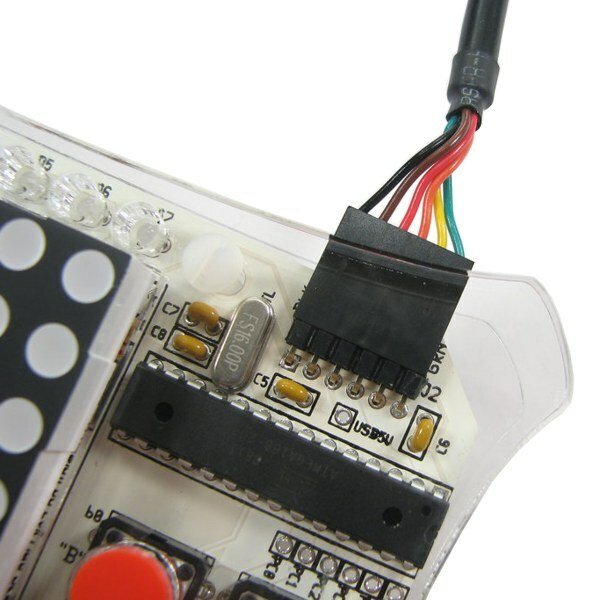 Although Meggy Jr is designed as a game programming platform, it can also be used to control your robot or other project via a TTL serial connection. This platform does not support Arduino shields. This project requires basic soldering skills with through hole parts. Programming via the Arduino IDE requires a USB-TTL. Low level programming of the Atmega328p microcontroller requires an external AVR ISP programmer. Three 3 AAA batteries or an AC adapter are required.